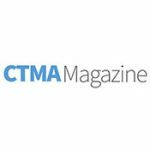 CTMA Magazine: Have a Presence in the 2019 Edition of the CTMA Magazine, an industry stand out! 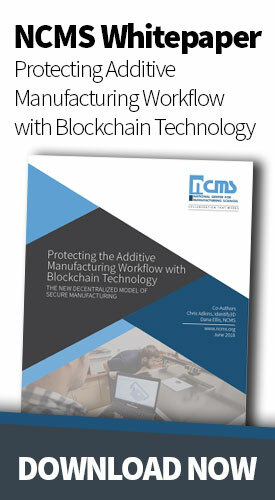 NCMS is assisting the U.S. Navy in seeking information and demonstrations on Laser Ablation Coating Removal Capability. Overview: The Chief of Navy Operations’ (CNO) guidance for a more ready and agile Navy requires an increased focus on individual ship availability to meet operational capabilities whenever and wherever necessary and to react to the rate of technological change. NAVSEA’s sustainment framework requires transformation in maintenance processes for all platforms, now, and continuously into the future. As many ship classes are advancing in age preservation activities for maintaining these ships is becoming more comprehensive. Surface Restoration is a key component of the NAVSEA strategy to enhance availability through sustainment technologies. Project efforts will evaluate capabilities of laser ablation systems to deploy in a shipboard environment and to integrate with or replace existing procedural activities for coatings removal. Capabilities will be evaluated and assessed for safety, efficacy, manpower and support services requirements, and application fit in order to support return on investment (ROI) for future use. Due to challenges in meeting preservation requirements within planned incremental activity schedules NAVSEA04X is seeking new technologies to supplement existing capabilities for removing surface coatings used in the maritime environment. Support services, hazardous waste, and labor required to accomplish preservation activities presents significant risk to schedule and deliver of ships on time. Transition of new technologies to support surface restoration in NAVSEA sustainment operations is required to meet CNO strategic guidance. Laser ablation offers tremendous potential as a game changing technology to improve the efficiency of naval maintenance related to preservation. With a predictive three times more efficient removal rate, markedly improved worker safety, and reduction in hazardous waste streams, the business case is clear. Development in lasers, control systems, and applications by other DoD agencies will be leveraged for the Navy to quickly implement this capability. The efforts of this project will evaluate the current Laser Ablation technologies and assess their technology readiness levels in a shipboard maintenance environment. Additionally, operational process, safety procedures and requirements will be evaluated and assessed for validation and modification of Uniform Industrial Process Instruction (UIPI) for use of Laser Ablation across the NAVSEA enterprise. Laser ablation systems should demonstrate the ability to reduce manpower requirements for use, decrease coating removal time, and quantify minimization of hazard waste, as well as ease of employment. This action leads to an improved ability to remove coatings by increasing process efficiencies, reducing labor for maintenance activities, reducing injury and hazard to maintenance/preservation personnel, and increasing overall operational availability of warfighting capabilities. The purpose of this solicitation is to determine interest from industry with mature technologies (TRL 7) for laser ablation removal of marine coating and to allow them to demonstrate capabilities offered by their technologies in the Naval Shipyard operational environment. OD of commercially-available laser ablation and ventilation systems aboard ship will allow the government to evaluate unique attributes of laser ablation systems to support determination and refinement of intended use. It will also enable validation of training and safety procedures, collection of data to support operational use planning, and evaluate process parameters for various laser ablation systems. NAVSEA 04X is working with planners, engineers, and paint shop personnel to prepare Technical Work Documents (TWD), instruction and OD test plans to support determination of cases for highest ROI. Industry respondents will be provided with these pre-written work packages and instructions for demonstration of capabilities within various shipboard circumstances. Support service personnel will provide assistance in setting up necessary safety enclosures and deployment of laser ablation systems. Industry participants will also work with planning yard personnel to modify work instructions as necessary to fit equipment/process parameters for operation. The KPPs for surface preparation and profile will be evaluated separately under engineering qualification test plans with NAVSEA Technical Authority within SEA05P. Industry participants will post OD reports with recommendations and observations for deployment and operation of laser ablation systems in the operational environment. Review and input for revision of work instructions prior to OD to ensure identification and provision of temporary services. Overall Project Costs: Government expenditures for this effort will be allocated within 6 months of effort. Any additional efforts identified post demonstration will be funded via new or updated concept papers under the CTMA Program. Total project costs for this effort will be expended over the Period of Performance. Assumptions: Preparation for OD structures and facilities will be coordinated and completed by the government to allow for execution of all test plans and work instructions by the industry participants. The scope of this effort anticipates Technical Interchange Meetings to include: Program Management; Program Safety Working Group; Production; Test Procedures, Execution, and Reporting. Work will be performed at the industry’s facilities for test plan and work instruction revision and Puget Sound Naval Shipyard for OD activities. Access for all relevant parties will be provided in compliance with relevant security policies. Period of Performance: CTMA initiative will be 2 months from award to the Cooperative Agreement. All government funding will be expended within 4 months with all interim deliverables provided to the government participants with the CTMA final report within 6 months. Project Participants: The following government organizations are expected as active participants in this effort and travel to or from the organization locations are expected as well as remote communication: NSWC Division Carderock (NSWC-CD), Newport RI; NUWC Division Keyport (NUWC-KPT), Keyport WA; NAVSEA04X. The following industry organizations are expected as active participants in this effort and travel to or from the organization locations are expected as well as remote communications: National Center for Manufacturing Sciences, Bremerton WA/Ann Arbor MI; Awardee, Awardee Facility. Security: Government furnished facilities, equipment, and access to systems, information and Subject Matter Experts (SMEs) will be required. Should this initiative require any access to classified data, the applicable security controls will be put in place prior to the execution of work. All work performed by industry participants under the provisions of this contract will be at the unclassified level. The industry participants shall be subject to a non-disclosure agreement. Interested parties should respond on or before February 28, 2019. All questions and/or inquiries can be addressed to Debra Lilu, debral@ncms.org or call 734-262-0758.